I love my LED Light Therapy Sesh! This treatment is very popular today, especially for its acne clearing and anti-aging benefits. Light Emitting Diodes (LED) uses wavelengths of light to rejuvenate and repair the skin. This technology was developed by NASA to improve wound healing and increase new tissue growth in space. I know…crazy, isn’t it? Different colors of light can have different effects. The two lights I use frequently for my clients are the BLUE & RED . So what’s the difference between the two? Blue light treats and prevents acne. It reduces inflammation and if there’s any existing blemishes it speeds up the healing. Red light is for rejuvenating and anti-aging. This light penetrates the deepest and immediately leaves the skin radiant and glowing. There are a number of at-home LED devices on the market costing $50-$800. Most of these devices do not provide the same strength of light that is used by professionals. They have less lights and only a small level of efficacy. So keep that in mind if you’re thinking about buying one. 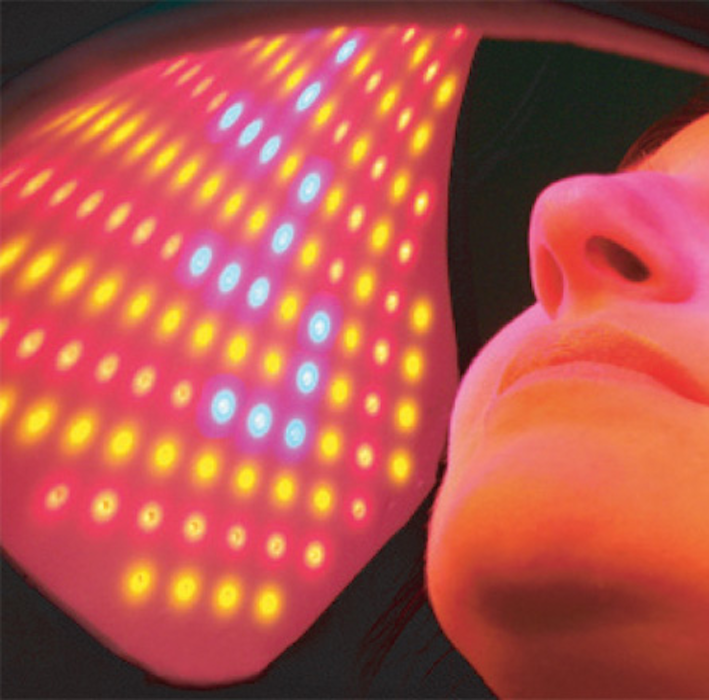 I’m a big fan of LED Light Therapy because it’s non-invasive and you still get great results. I try to get at least a 20 minute Red light sesh every 2 weeks for the anti-aging benefits. LED can be added on to any facial so ask your Skincare Professional and try it the next time you’re in for a facial. I highly recommend it.